Ladbrokes Poker employ the strictest anti-hacking security standards so you can deposit and withdraw your money with absolute confidence. Ladbrokes Poker has a reputation of being one of the most reliable poker rooms in the industry on account of its timely payouts, strong player traffic and several years of experience in the industry. Dont forget to use your Ladbrokes Poker Bonus Code to gain extra rewardsLadbrokes Poker enjoys a reputation of reliability on account of its brand name, which it has built for itself. 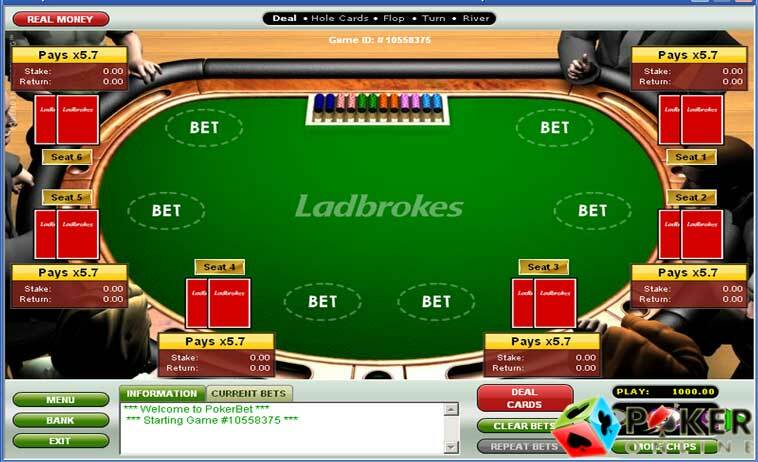 In the UK, Ladbrokes supplies sports betting services, online casino games as well as online poker games. What’s more, the poker room has great customer service, has a 200% welcome bonus and offers its players many different deposit methods to choose from. The Ladbrokes Poker site has a fabulous welcome bonus package for its players, and upon depositing poker players get a 200% bonus up to a sum of £1200. However, players will be required to make a minimum deposit of £5 to avail of it. The maximum deposit limit is £400 and players will have 60 days to clear the bonus money by availing 32 player points for each £1. 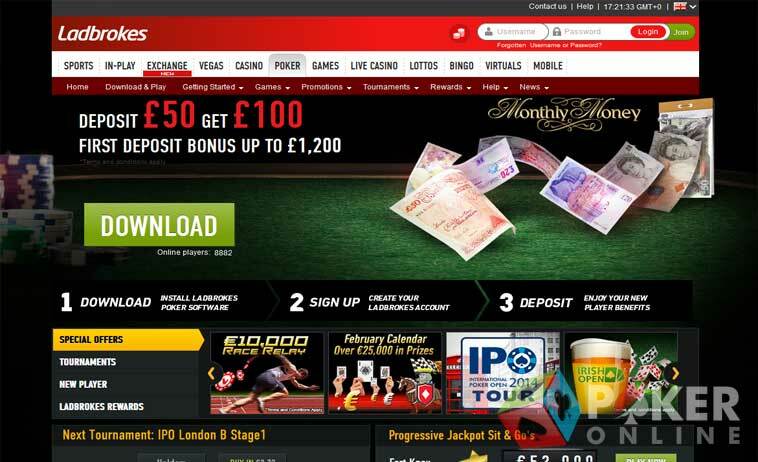 In addition to their welcome bonus, the Ladbrokes Poker site also has special promotions and other bonuses. 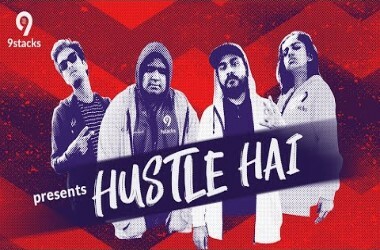 This includes the likes of freerolls worth £10,000 for new players which comprise several weekly freerolls such as the New Player Freerolls worth £500 that take place on Wednesdays or the Ladbrokes Poker Welcome freerolls worth £350 each that are scheduled every Saturday. Other great events are the Cash Rake Races and Sit n Go Races. 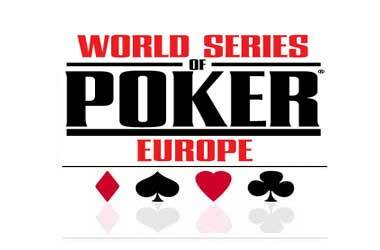 Poker players can also try the Multi table tourney leaderboard events or opt in for the €20,000 Cash Rake Race. Some of the exciting poker promotions available at the Ladbrokes site include the £25,000 Grassroots events, the €2,700 WPT Marbella and Ladbrokes Team Championships. The poke room also has special events relating to Facebook and Twitter. The Ladbrokes Poker Loyalty Club has 4 levels for its players beginning with the Bronze, and then moving on to the Silver, Gold and VIP levels respectively. Players will be automatically eligible for the Bronze status and can move to silver when they have got 500 points. The Gold level status can be reached with 3000 points and the VIP with 10000 points. Each level has specific advantages and benefits. Players collect loyalty points as they play online poker games at the site and progress up to higher levels with the more points they collect. 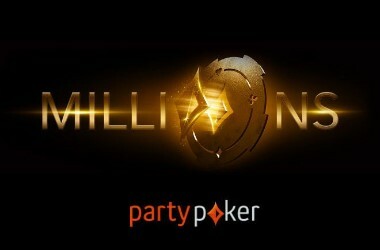 Players will have to use the real money poker tables to earn Ladbrokes Poker Points. Ladbrokes Poker has a terrific VIP club for its high roller players that allows them to get value for their money and be rewarded for their loyalty and frequent play at the site. Once players reach the 10,000 poker point cut off, they will enjoy exclusive Ladbrokes VIP Club benefits such as a 30% loyalty bonus paid in cash, improved promotion and select offers. These players will also have VIP customer service. Poker players will find that Ladbrokes Poker has a good game selection that includes all the popular poker games on the market such as Omaha Hi – Lo, Texas Hold’em and Omaha Poker, the latter of which is available in several limits like Fixed Limit, No Limit and Pot Limit. 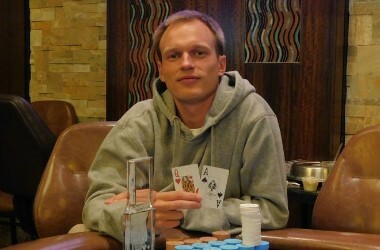 Poker players will find plenty of poker payment methods that they can use to play at Ladbrokes. The site accepts many currencies and players will find it easy to play using euros or GBP. The online poker payment methods available include Cash, Neteller, Personal Cheques, Credit and Debit Cards, eNETS, Western Union, PayPal, Click&Buy, Ukash, Bankers Drafts, and bank transfers. To make withdrawals at the Ladbrokes Poker site, players will have to select the method of their choice and withdraw funds to a maximum of £5,000. Ladbrokes Poker players can use Moneybookers, NETELLER, Western Union, Bank Wire, ClickandBuy or Paypal to take out their funds. 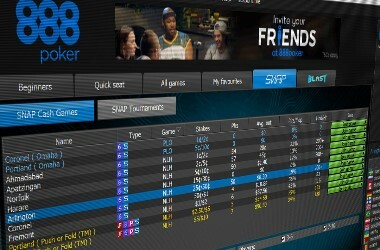 Poker players in the UK have an added advantage when it comes to withdrawing funds from Ladbrokes Poker and can even have their funds taken out via check free of charge, other methods includes ipBacs and Chaps. Players will be able to use different wire transfer methods. You can contact Ladbrokes Poker 24/7 and can access their customer support services via email or telephone. The poker room also has a special help section that gives information on common queries for players. Ladbrokes Poker players can also opt to contact the site via their postal address in the UK or call toll free with their queries.